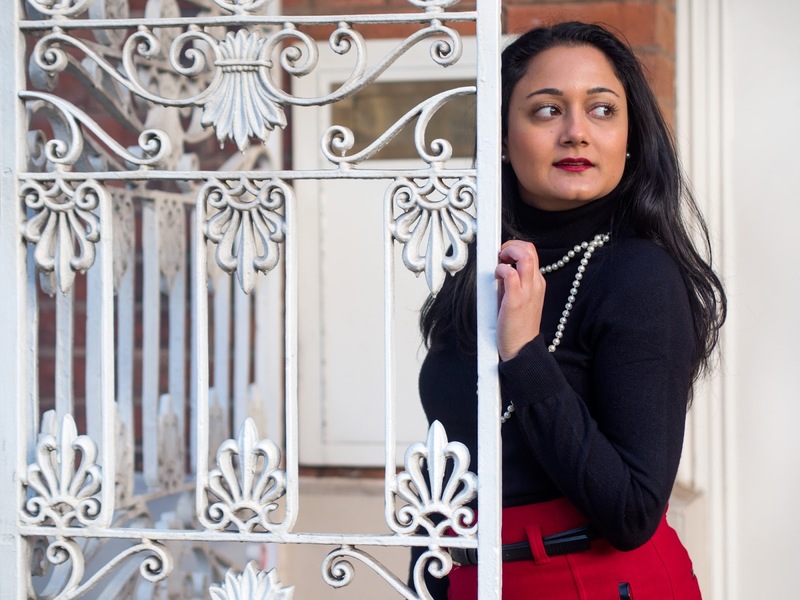 Red is one of my favourite colours and I love wearing it all year round. 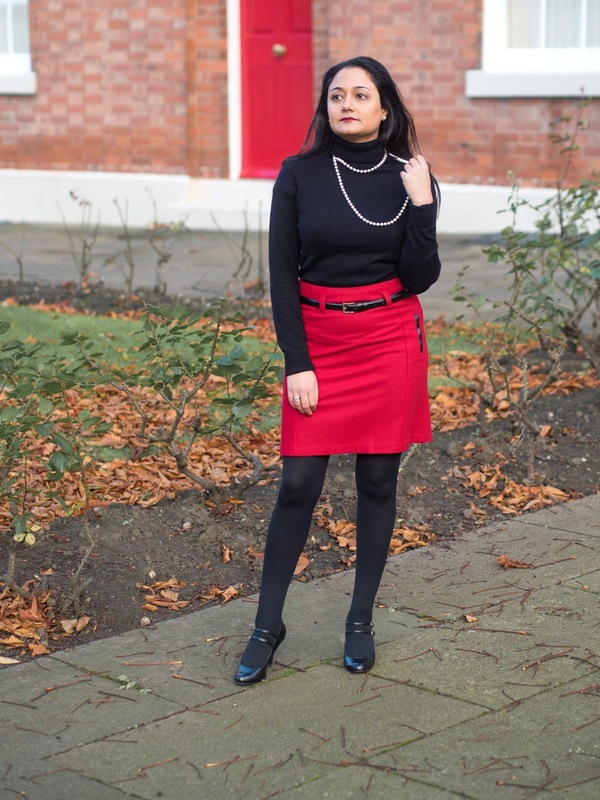 I know that some find it to be a risky and daring colour to wear but I wanted to share my advice and tips on how to pull this colour off confidently and how to wear red. Instead of opting for a head to toe red outfit, you could just choose one item of your outfit to be red. 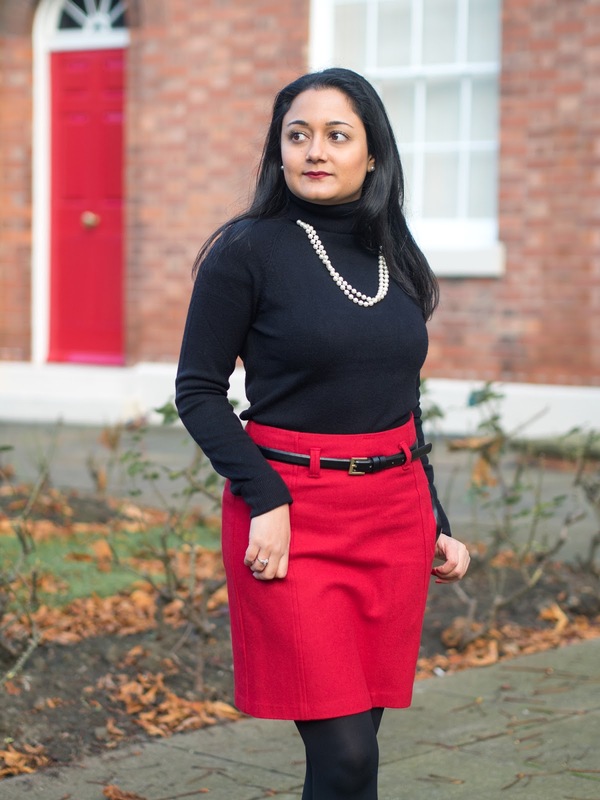 In this look, I'm wearing a red skirt from Next as it incorporates the colour to the outfit nicely, without being too overpowering. It's a great way to introduce more colours to your wardrobe in a subtle way. 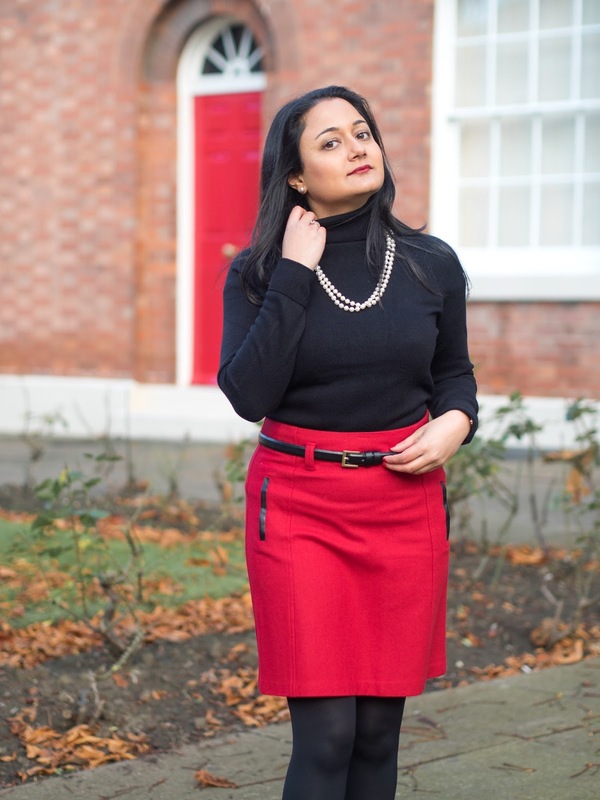 When styling this red skirt, I decided to wear a black turtle neck jumper so that they complemented each other. This also helps to keep the look understated. I like how the black and red colours fit together to create a perfect look for this time of year. 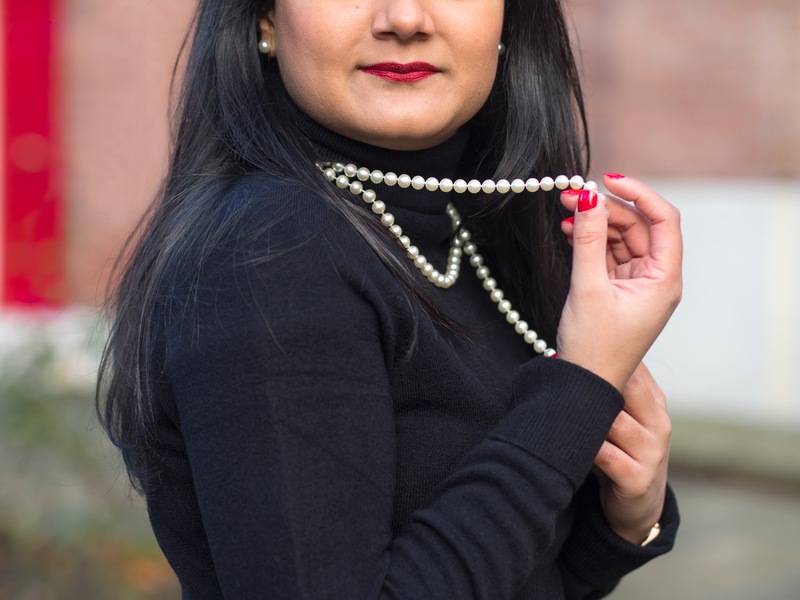 I love the classic and timeless look and I decided to wear a pearl necklace and earrings with this outfit. 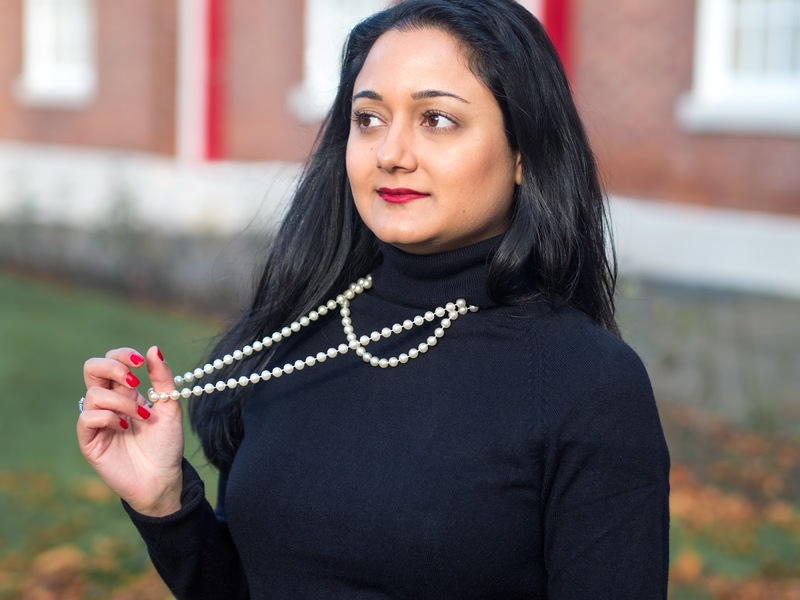 I find that jewellery pieces like pearls really pull a look together, and in this outfit they really bring the black and red out. I decided to finish the look off with a bold red lipstick from Revlon and also some red nails. 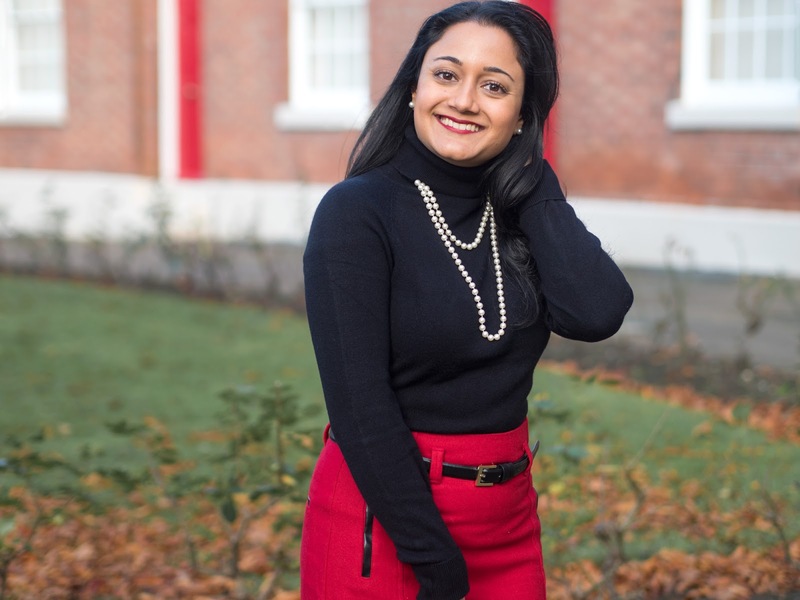 The main thing to remember when wearing red is to be comfortable and confident in what you are wearing, and also to just go for it and smile! Do you like wearing red? What's your favourite red item of clothing? It's such a classy colour isnt it? 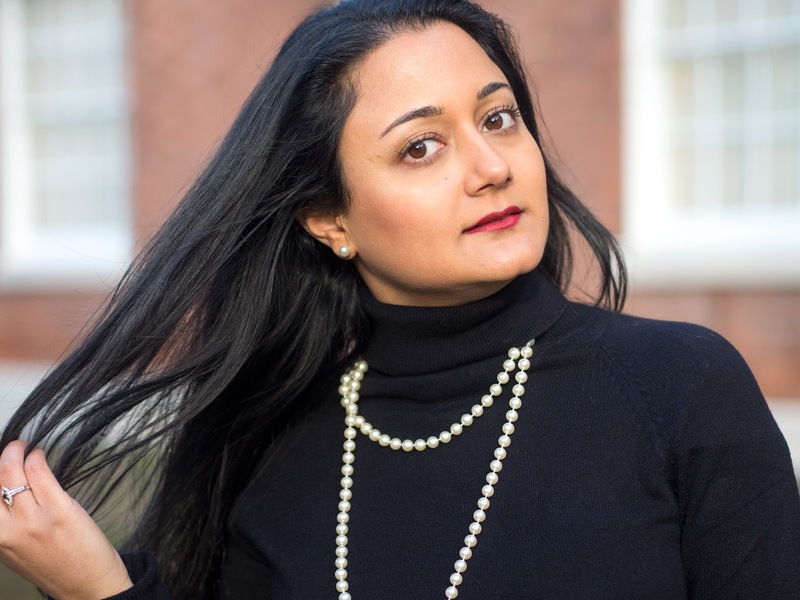 Love how you've styled it Radhika, you look amazing!! Thank you Lianne :) Yes it's such a timeless and classic colour.